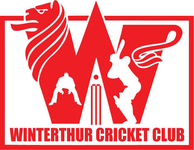 Winterthur took on last year's league champions, Nomads Zurich Cricket Club, in a friendly 40 over match, their second match of the new season, at Deutweg on Sunday 19th April 2015. Nomads won the toss and elected to bat on a, despite the cool northerly breeze, glorious sunny April's day. Winterthur's opening bowling partnership started well, restricting Nomads to 19-2 off the first six overs. Hasta started off with his customary wides ("beware, the wides of Hasta"), Hasta's first spell (0-11) in 3 overs, but quickly regained control and found his line and length and pace, in contrast to some other bowlers, controlled the runs and pace to trouble the openers. Imran and Asghar took over the bowling and quickly produced two breakthroughs with their sharp bowling, Asghar's spell was interesting as it left both him and the batsman confused on who was trying harder :-D his whooping first spell was (0-36) in 3 overs. Imran !!! although day dreaming during fielding and dropping catches etc...bowled superbly! he started of with a maiden and ended the awesome spell with (1-17) in 4 overs !!! After a tight spell, Imran and Asghar took over the bowling and quickly produced two breakthroughs with their sharp bowling. Asghar's spell was interesting as it left both him and the batsman confused on who was trying harder! His first spell ended (0-36) in 3 overs. At the other end, Imran, caught day-dreaming in the fielding resulting in a dropped catch, bowled superbly! He also started with a maiden and ended the awesome spell with (1-17) in 4 overs !!! This brought the Nomads mainstays, Azeem (118) and Faheem (138), to the crease and they set up rebuilding the innings. Dropped catches (as many as ten) along the way did not help our cause and soon the settled pair began toying with the bowling hitting boundaries and clearing them at will. No bowler was spared and while Tom brought in quick bowling changes, the run rate kept accelerating. Even the main bowlers like Rahul going for 20+ runs in an over, the partnership grew steadily until both batsmen raced to their centuries and retired after taking Nomads to 257-5. The only damage done to the batsman was Mohamed's bowling attack (3-0-53), so strategic that both batsmen were tired at the end of his 3rd over. WCC found some luck afterward with Imran, Rod (4-0-36) and Sara bowling useful late spells to contain the remaining batsmen, thanks in part to Praf's and Selva's diving stops and sharp fielding. Sara, our 6 foot tall super sonic jet pace bowler, ended the last over with 3 wickets to give the Nomads a total of 352-8 off 40 overs. Hasta was the most economical bowler off our lot but mostly because he did not bowl his full quota of overs. The Winterthur innings also started well, Steve Eastham (47) in particular contributing to a solid start, taking Winterthur to 63-2 before walking to a caught behind despite not being triggered by umpire A.Mackay. Ram (5) who opened with Steve was out early, but Praful (33), who is yet to claim his Virat Kholi innings, found some form at no. 3, but his dismissal marked a Winterthur collapsed, Rod, Selva, Sara and Imran out in quick succession to leave the home side on 85-5. However, Winterthur captain Tom Mampilly (51), with the help of Mahmood (24) as company, steered the tail & the Winterthur innings to a respectable 204ao, Asghar (16) being the last to go, 11 balls short of their 40 overs and ending the innings on 204 off 38.1 overs. To beat last year's champions was an ambitious objective and a very stern test for Winterthur. Although the ordeal proved too tough a task on this occasion, there were many positives to be taken from the game, despite losing by a rather convincing 148 runs. Winterthur almost lasted the full 40 overs and the total could be a competitive score (200+) on most days. On the bowling front, Nomads were in trouble at one point (Faheem & Azeem scored 280 off 25 overs, while the rest of the team were 72-6 from the other 15 overs). There is still time to address the problems as part of Winterthur's continued pre-season preparations. Also, notable spells were Sara's 2nd spell 3-11 in 2 overs, Rahul's 1st spell 1-10 in 4 overs, Imran's 1st spell 1-14 in 4 overs and Hasta's 1st spell 0-11 in 3 overs. Unforgettable spells for all the wrong reasons were Mohamed's 1st spell 0-53 in 3 overs, Asghar's 1-36 in 3 overs, Imran's 2nd spell 0-53 in 4 overs and Rahul's 2nd spell 0-40 in 4 overs!